With more than 20 years of experience in the commercial cleaning industry, Community Bridge, Inc. is a proactive service provider that strives to remove the burden of managing cleaning services from our customers. At Community Bridge we understand that Janitorial Services in the 21st Century are a combination of cleaning, environmental safety, customer satisfaction, and community impact. CBI along with our dedicated and experienced team of professionals is committed to use cutting edge technology to provide service beyond expectations! 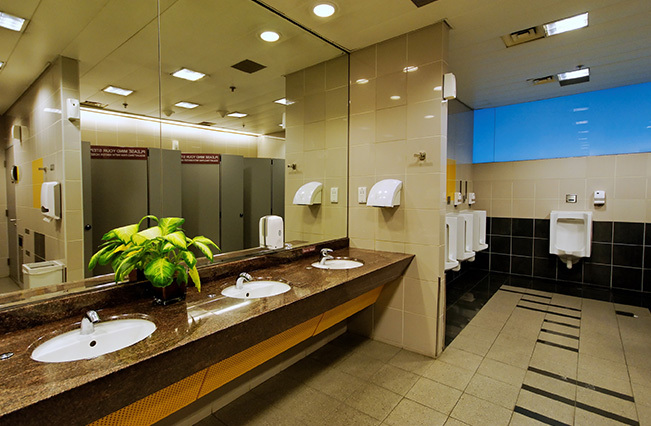 We customize our commercial cleaning service to meet the needs of property management firms, facility managers, and building owners in commercial, governmental, educational, institutional and industrial markets. You strive to demonstrate the most value in your building. Let us help you and deliver beyond expectations. CBI’S commercial cleaning programs are tailored to fit the individual needs of each customer and/or tenant. No matter what your needs may be, CBI can deliver a cleaning program that provides consistent, quality cleaning that enhances the value of your office building. Copyright© 2016, Community Bridge, Inc. All rights reserved.